Experience the multi-Academy Award ® winning 1984 motion picture, AMADEUS, on a vast HD screen while Mozart’s most celebrated works are performed live and in-sync by the Thailand Philharmonic Orchestra. Leading the concert will be one of Europe’s foremost conductors specializing in classical-era music, Maestro Ludwig Wicki. Winner of eight Academy Awards including Best Picture, Milos Forman’s sumptuous AMADEUS is an aural and visual treat for all the senses. 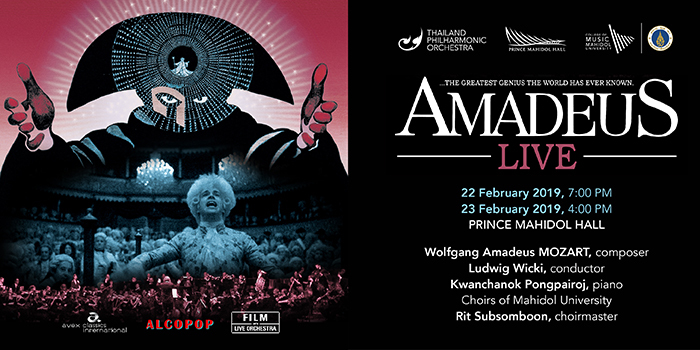 Experience the multi-Academy Award® winning 1984 motion picture, Amadeus on a screen while Mozart’s most celebrated works are performed live in-sync by the Thailand Phil. This is Amadeus-Live: a unique way to appreciate Milos Forman’s sumptuous film classic and an aural and visual treat for all the senses. Ludwig Wicki brings his incredible vision for the first time in Thailand. The elegant Thai pianist Kwanchanok Pongpairoj serves as soloist in the lyrically sublime Andante from Mozart’s twenty-first piano concerto. 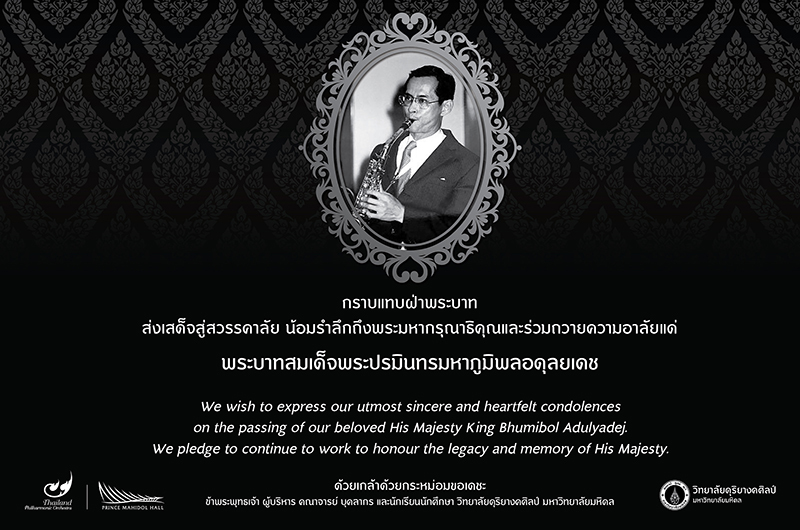 A truly grand spectacle, Amadeus live will also feature the Mahidol University chorus under the direction of Rit Subsonboom. On a production level and as an evocation of a time and place, “Amadeus” is loaded with pleasures. It remains among the best cinematic adaptions of a play originally meant for the stage. It’s period costumes and sets are incredibly beautiful and Mozart’s music brings it all together in an unforgettable experience for the eyes and ears.